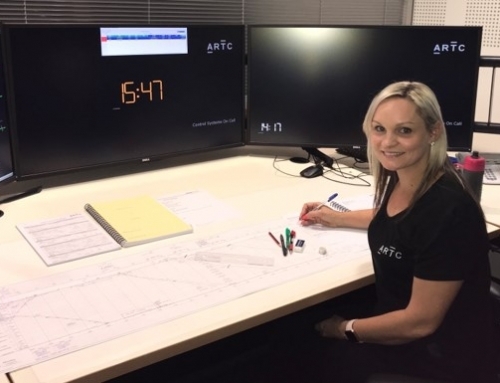 Anne Modderno is currently the manager of Corridor Works with the Australian Rail Track Corporation (ARTC) in the Hunter Valley. She leads a team of 40 professional staff working to deliver ARTC’s Hunter Valley annual works program. Her career in supply chain started after high school. After six months attempting a Bachelor of Mathematics, she went to a career expo where she became intrigued by the engineering world. She started a double degree: a Bachelor of Engineering and a Bachelor of Business at the University of Newcastle. In her final year she obtained an engineering role with Hunter Water. From there she moved into a graduate engineer position working with the planning and strategy team. During six years at Hunter Water, Anne volunteered with the communications team. This helped her to gain experience dealing with the public and in complaint management. After spending her last three years in a project manager role she decided it was time for her next challenge. This came in the form of a project manager role with construction company TCM Civil to deliver a large pipeline project in Oberon NSW. She was one of six full-time employees and one of two females working for the company. However, Anne was pleased to be exposed to all aspects of the business. She was involved in many parts of the project and developed transferable skills. During her time there she completed a Cert IV in Workplace Health and Safety. In 2012 Anne began her employment with ARTC in a project manager role, responsible for ballast cleaning and drainage and then After moved on to a contracts manager role before finally settling into her current role in 2016. She has since completed her Masters of Construction Law in 2018. Anne loves her job. Her advice to those looking to enter into any workforce is to be authentic and back yourself to achieve what you set out for. She believes that the key to building positive relationships and respect in the workplace is not being afraid to ask questions as well as truly listening to others. Finally, she encourages everyone to work at an organisation that supports shared values.